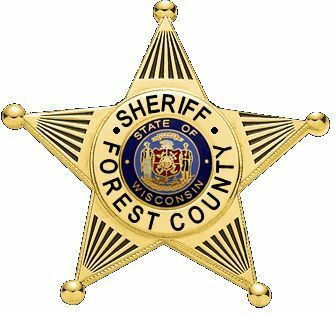 Welcome to the Forest County Sheriff's Department D.A.R.E. page. The D.A.R.E. program was developed as a cooperative effort of the Los Angeles Police Department and the Los Angeles Unified School District to prevent drug abuse in children and youth. The program emphasis of D.A.R.E. is to help students recognize and resist the many subtel pressures that influence them to experiment with drugs, gangs and violence. In addition, program strategies are planned to focus on feelings relating to self esteem, interpersonal and communication skills, decision making, and positive alternatives to drug abuse behavior. The D.A.R.E. core curriculum, which targets fifth or sixth-grade elementary school students from Crandon, Laona and Wabeno Elementary Schools consists of nine 45 minute lessons. These lessons are conducted by Deputies Don Belland and Larry Poe on a weekly basis. These lessons are structured, sequential and cumulative. A wide range of teaching strategies are used which emphasize student participation, including group discussion, questions and answer, along with role playing activiites. The curriculum is designed to help students build refusal skills in experimenting with illegal substances. In addition to these refusal skills, the lessons focus on the development of self-esteem, interpersonal and communication skills, risk assessment and decision making skills, critical thinking, and the identification of positive alternatives.